1. To complete the challenge, you have to read at least one book for each category, or total of 15 books during the challenge period. Format of books are free, it can be e-book, printed book, audiobook, etc. You can set your own pace and do not need to follow the categories in particular order. You can also read more than one book for each category. You have to write your reviews/comments (doesn’t have to be long) in your blog/FB note/Goodreads page/tumblr/etc. 2. Please write a master post about this challenge in your blog/Goodreads/FB notes/etc, and submit your link below for signing up. You can use this master post to sort down the book(s) that you’ll read for each category, and edit them later if necessary. The sign-up linky will be opened from January 15, 2015 throughout the year until December 15, 2015. 3. There are also linkies for each category of the challenge. Please submit your link of review posts for each category in their respective linkies. These linkies will be opened in January 15, 2015 until January 15, 2016. 4. At the end of the challenge, write down a wrap-up post and submit the link in the linky too. The linky for wrap-up posts will be opened until January 31, 2016 to give you more time for wrapping things up. It’s okay if you don’t finish the challenge but you are not eligible to be selected as the winner. 5. 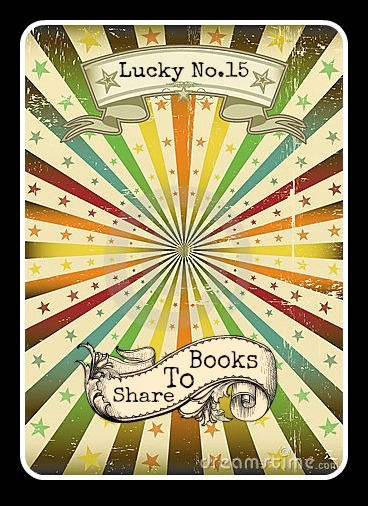 After the wrap up post linky is closed, I will pick two lucky winners who had completed the challenge for winning great bookish prizes (including book vouchers, novels, and other exclusive bookish gimmicks/goodies 🙂 ) The prizes will be revealed soon, so please stay tuned. You must have delivery address in Indonesia to be eligible for the two grand prizes. 6. If you are an international participant who doesn’t have Indonesian mailing address, don’t worry, I’ll also choose two winners, each winner can pick any book from The Book Depository for maximum of $ 12. Now, let’s start this wonderful 2015 and get ready to tackle some great books! kategori-kategori favoritku juga masih ada. Dream destination mirip Visit the country. OMG, godaan RC dimana2 >_<"
Mbak.. Ini master post ku..
btw, Astrid, ebook boleh ya? Yay! I’m so delighted that you decided to create another challenge. Thank you! Your challenge was one of the most fun I did last year. I really like the looks of some of the new categories. I haven’t made a reading list yet, but am very much looking forward to planning my future reading now! yeaaay 🙂 thanks malin, I’m glad you had some fun last year…Goodluck for this year! nanti aku coba hapus ya haha..
hihiy iya kategorinya skrg lebih fleksibeeel 😀 thankies ren! Hahahaha thanks Holli, I hope you’ll have a blast!! ikutan yaaa mbak Astrid 😀 oh iya mbak, mau tanya, untuk review yg dibuat setelah tanggal 15 tapi sebelum bikin master post, boleh dimasukkan? Here is my master post because I could not find a linky to sign up with! yesss the linky is somehow hidden, I dont understand why XD thanks for joining though! Setelah lebih dari satu tahun vakum nulis di wordpress, keikutsertaan saya di RC ini mengawali niat saya untuk aktif menulis kembali. Hehehe. Semoga lancar. thanks for doing this one. I enjoyed last years. Reblogged this on Kompilasi Perkara Yogi Saputro. Sama mau tanya, itu wrap-up post isinya apa yah? Terima kasih. Hi, I’ve made a silly mistake. When trying to post my latest review in “Opposites Attract”, the link for the previous book I linked (in “Favourite Colour”, because it’s purple), also got linked in the “Opposites Attract” category. Will Grayson, Will Grayson is NOT supposed to be there, it was supposed to be An Abundance of Katherines (which I have also linked). Please remove it from the list, as I don’t seem to be able to delete it myself. Good luck and thanks for joining us! My latest link (for Death & Mr. Prettyman) managed to get linked under both Super Series (where it does not belong) and the right link. Could you please remove it from Super Series? Thanks! btw aku msh ragu nih, setelah aku masukin nama sama URL apa itu sudah selesai daftar atau masih harus ada register yg lain? Terus wrap up post itu apa dan gimana buatnya kak? halo, thank you ya udah ikutan 🙂 daftarnya udah kok gitu aja. 1. Apa yang dimaksud dengan TBR? 2. Apakah buku-buku yang dibaca itu, selain kategori#3, harus merupakan kepunyaan sendiri atau koleksi pribadi? 3. Bagaimana seandainya ada satu buku yang termasuk dalam dua atau lebih kategori? 4. Untuk review buku, bolehkah mem-postingnya di tempat yang berbeda-beda? Semisal, buku A saya review di Goodreads, sementara buku B saya memposting review-nya di personal blog. 3. Nah, khusus untuk Lucky No. 15, memang satu buku hanya boleh masuk ke satu kategori saja. Tujuannya, supaya masing-masing peserta setidaknya bisa membaca minimal 15 buku total. 4. Boleh, bebas kok. yang penting link nya dimasukkan ke “linky” di kategori tersebut, biar memudahkan pendataan. anw wish us luck ! nggak papa, nanti aku coba edit linky nya 🙂 gudlak ya! Beberapa buku sudah dibaca dan direview sebelum daftar, tapi bacanya setelah 15 Januari kok, ga masalah kan, ya? boleh, nggak papa masukin yg udah direview sebelum daftar, selama masih di tahun 2015 🙂 gudlak ya! Baru ikutan dari sekarang masih bisa ga mba? Oh ya kalau ada yang sudah ku review sejak awal tahun 2015 tapi sesuai sama kriteria diatas boleh ga ya mba? Atau harus dari awal? Buat kategori First Initial, gak punya buku yang nama depan penulisnya F nih, kalau masukin buku Gayle Forman, boleh gak? Dan buat kategori One Word Only, Dilan termasuk gak, ya? terakhir, ini update list bacaannya sampai 15 Desember 2015 atau boleh sampai 15 Januari 2016? Update bacaan bisa sampai Januari 2016. Will you be doing one of these this year, too? Hi Jamie, I’m sorry, I will skip the Lucky challenge this year – and sorry for being a crappy host for last year’s challenge!! I hope I will be back in 2017 with more preparation and cooler challenge 🙂 thanks for joining the Lucky No 15! Happy new year 2016 from your hostess in prairie Canada! Please remove #69 in “something new”. I experimented with accepted name length, until titles & authors weren’t cut off. Please watch for my new groups – to be announced at my blog soon. Yours warmly, Carolyn. I’m having breakfast with my fiancé in the middle of entering these reviews, so I put the latest into the wrong button. Will you please removed #48 from “cover lust”? Karen White belongs there. Zillah K. MacDonald is going to go into “who are you”. Thank you, Astrid!